Learn the art of Brazilian Jiujitsu. Respect. Discipline. Self-confidence. Self-control Self-defense. Jiujitsu is truly the art that can build and teach all these characteristics to your child. Train hard. Work toward goals. Belief in ones self and your training. Build a high level of Team spirit, trust, and leadership through Jiujitsu. We believe that the practice of Brazilian Jiu-jitsu is seen as a means for individual development and personal growth. Strength, self-awareness, respect, discipline and responsibility are common core values taught within our kid’s program. Self-defense is the number one reason why most people decide to study Martial Arts. Martial Arts teach you the techniques to defend yourself, but also the way to think about defending yourself and avoid potential dangers. Naturally some kids develop their skills and physical abilities earlier than others but we find that many kids who start out with underdeveloped athletic attributes such as strength, speed and size, end up blooming onto some of the finest technicians we have.Technique and mental toughness should be pursued above all physical attributes. As children become more proficient in their selected style of martial arts, their confidence gets a big-boost. Jiu-jitsu is a whole body workout. The typical class will often be comprised of warm-up calisthenics, teaching and practicing of moves and possibly some sparring. The warm up and practice comprise the bulk of the time, and for that time your child will be constantly on the go. 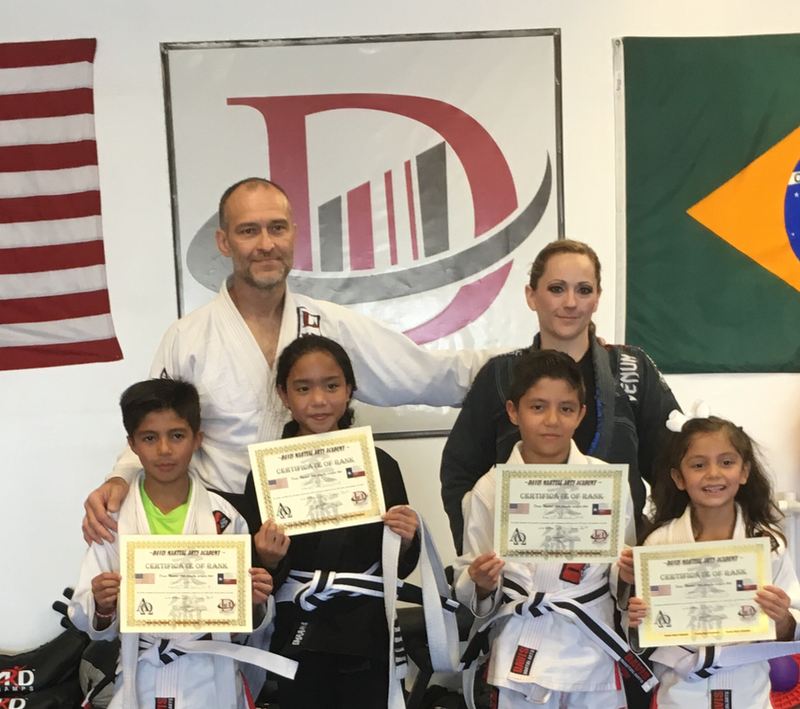 Children who train Jiu-jitsu learn vital problem solving skills. Every time anyone trains they are always faced with new problems and situations that must be tackled. This is a great way to sharpen young developing minds. There isn’t anything quite like how Martial Arts teaches children the importance of discipline and respect. At the end of it all, though, the enjoyment and positivity of training Martial Arts is one of the most important reasons a child should learn Jiu-jitsu.